Prior to the start of any renovation or demolition project, all buildings must be surveyed and tested for the presence of asbestos containing materials. Quality surveys will identify all asbestos containing materials (ACM's) and reduce the likelyhood that your residence or commercial building will become contaminated during renovations. Asbestos materials in buildings that have deteriorated or become disturbed over time have released asbestos fibers that were airborne for a period of time before they settled as dust. They can then be disturbed by normal working activities and become airborne again and spread on air currents throughout the building. 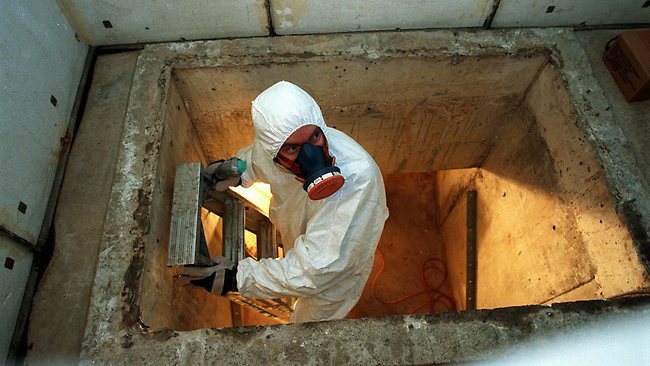 This process is continually repeated and can only be rectified by employing a licensed asbestos removal contractor to carry out full decontamination of the area to prevent further release at the source. Until then building occupants, maintenance staff and visitors are continually exposed to potentially deadly asbestos fiber levels but may be unaware of the invisible dangers. Gauge the effectiveness of the asbestos abatement work upon the completion of a removal project. Ensure that air quality conditions are safe for workers during the removal project. Determine if concentration is higher before or after the removal project. Located and identify the asbestos materials in buildings.